THIS WORKS GREAT FOR ALL CT90 BIKES. 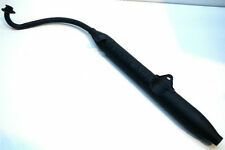 THE EARLIER CT90 MUFFLERS ARE SLIGHTLY DIFFERENT BUT THIS CAN BE MADE TO WORK FINE. THIS WILL ALSO WORK ON THE 1980 THROUGH 1981 CT110, BUT IT IS A DIFFERENT COLOR OF RED, THIS IS A MORE RICH RED. THIS CAN ALSO WORK ON THE CT90'S FROM 1972 TO 1978, BUT IT IS AGAIN A DIFFERENT COLOR AND A SLIGHTLY DIFFERENT SHAPE BY THE CARB. THIS WILL ALSO WORK ON THE 1982 THROUGH 1986 CT110, BUT IT IS A DIFFERENT COLOR OF RED, THIS IS A MORE ORANGE RED. 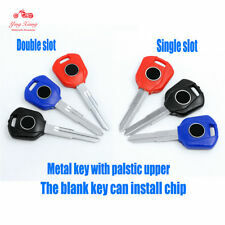 Made from the highest quality materials available and has thefollowing features K1 and Newer. Fits CT90 & CT110. 1970-1979 CT90 (K1-'79) TRAIL 90. 1980-1986 CT110 TRAIL 110. 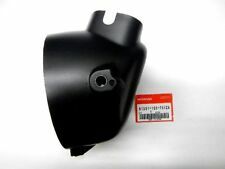 THIS IS A (1) NEW SPARE (SUB) GAS TANK FROM HONDA WILL WORK FOR ANY CT90 OR CT110 THAT HAD THE BRACKETS FOR THE SPARE TANK. THIS IS THE TANK AND EMBLEM ONLY NO CAP OR ANY OTHER AFFILIATED PARTS ARE INCLUDED. Off a 1972 Trail 90. Condition good. (MPH) (NIPPON SEIKI) fits the following models and components (MPH) (NIPPON SEIKI). Large size trunk with backrest and lock fit Honda CT90 trail 90 luggage rack. .
1969-1979 CT90. THE EARLIER CT90 MUFFLERS ARE SLIGHTLY DIFFERENT BUT THIS CAN BE MADE TO WORK FINE. (To make this muffler fit a k0 or k1 ct90 all that I had to do is change. All you do is run the bolt through the muffler mount hole, through the sleeve, and. ). 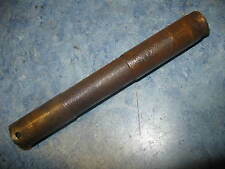 This part is used and dirty from storage, has rust but is in good working condition. Looks to be in ok used condition. Pan is in good Condition. Seat has normal wear. Honda Motorcycle 1976 CT90 A - TRAIL 90. 1978 CT90 A - TRAIL 90. 1977 CT90 A - TRAIL 90. 1979 CT90 A - TRAIL 90. 1984 CT110 A - TRAIL 110. 1986 CT110 AC - TRAIL 110. Great condition just has one small rip as shown in the picture. 1967 CT90 owners manual. Overall good condition. All pages are intact with wiring diagram. Bottom right corners are folded. No small print. Excellent shape there is a little surface rust on the bottom part springs look great. PARTS ARE FROM : 1971 HONDA CT90 TRAIL 90. Open Communication. We answer all inquires. We Strive for Fives! 1970 Honda CT90 engine cradle / skid guard. 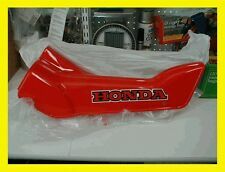 · Part: 1969-`1979 Honda CT90 Trail GAS TANK orange. There are no exceptions! Motor # CT90E-425282. DON'T BE OFFENDED IF IT IS DIRTY, OILY OR HAS GREASE ON IT. MOTOR # CT90E-5004652. DON'T BE OFFENDED IF IT IS DIRTY, OILY OR HAS GREASE ON IT. For sale is this used chain guard for a 1975 Honda CT90. All the bolt holes for mounting are in good condition. The decal is in good shape. The paint has scratches from use.Sold as-is. You are responsible for these fees. Small Parts. Includes ALL PARTS SHOWN. Fits Various CT90 Bikes. The Taillight looks Replaced. Overall Good Used/Usable Condition. Perfect for Your Classic Project. 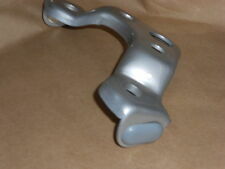 For sale is this used original center stand and pivot pipe for a 1970 Honda CT90 K2. The stand is straight. The pivot pipe is straight with a good end plate. Sold as-is. You are responsible for these fees. THE ITEM YOU ARE BUYING IS OFF OF A : 1964-1966 HONDA CT200. PARTS WILL FIT 66-68 CT90 KO TRAIL 90. CT200 PARTS. CT90 PARTS. I T WAS MADE:N/A. CONDITION : GOOD COIL. WIRING IS GOOD. PLASTIC BOOT HAS A CHIP. MOTOR # CT90E-128972. DON'T BE OFFENDED IF IT IS DIRTY, OILY OR HAS GREASE ON IT. MOTOR # CT90E-305025. DON'T BE OFFENDED IF IT IS DIRTY, OILY OR HAS GREASE ON IT. CT110 82-86. Color is Monza Red. Front Fender. Honda part #61100-102-701ZD. Correct for Honda Models. 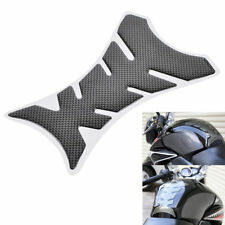 Specializing in OEM and NOS Honda Parts. (716) 592-5044 (fax). Springville, NY 14141. DON'T BE OFFENDED IF IT IS DIRTY, OILY OR HAS GREASE ON IT. THE EARLIER CT90 MUFFLERS ARE SLIGHTLY DIFFERENT THAN THE K2 AND ON MODELS. IF YOU HAVE A 1969 K1 MODEL CT90, YOU WILL WANT THIS PIPE. 1969 CT90 K1. UST PIPE FOR. Great shape. Couple of connectors that were taken off for a different headlight. 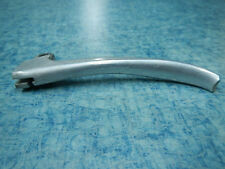 For sale is this used fork top bridge for 1966 through 1968 Honda CT90. The bolt holes all have good threads. The wire on the back is intact and in good condition. Sold as-is. You are responsible for these fees. I believe it is for a Trail 70 but it could possibly fit the 90. 1972 HONDA CT90. ALL PARTS ARE USED BUT IN WORKING ORDER OR REBUILDABLE. WE WILL DO OUR BEST TO MAKE YOU HAPPY. MILES- 3873. Get it powder coated for your restoration and you will have better than new!